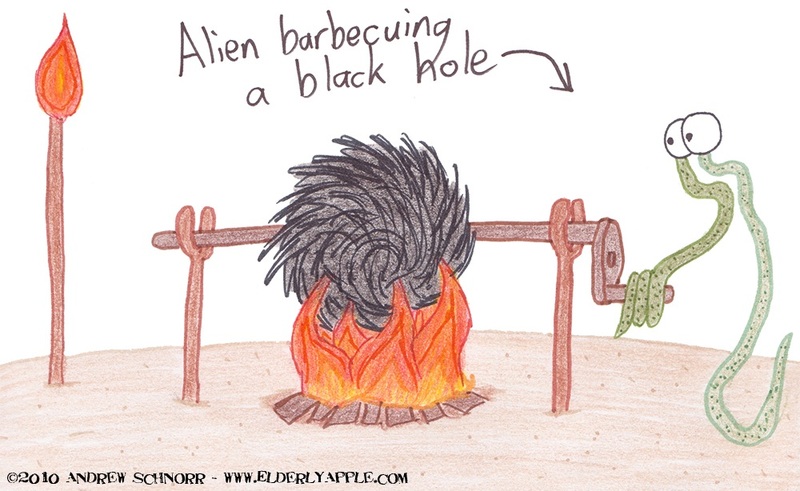 Also, if you've never read Stephen Hawking's A Brief History of Time (or it's Briefer version, like I did), there is only one thing you need to know about black holes: Spaghettification. Everything else is unimportant and has a much less cool name. Ah, the memories that flood back at just the thought of a gravitational singularity roasting on an open fire. i like how the eyes make it look like one alien when it's actually two.